Apex Legends has been doing really well since its release a month ago in February 2019. It gained players faster than Fortnite and PUBG did even though they are not maintaining the same amount of players. Apex Legends has also finally released the much-awaited Battle Pass with new skins, a new map and a new legend Octane. 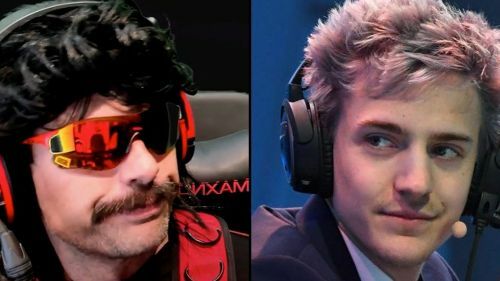 Ninja and Dr Disrespect are among some of the highest viewed streamers on Twitch. They have played all Battle Royale games, mostly streaming Fortnite and PU. EA allegedly offered Ninja $1 million to stream Apex Legends because of his subscriber count and outreach. Dr Disrespect also streamed Apex Legends with his 3.3 million+ followers. Apex is quickly evaporating. Here's what the season pass is going to do... Is it going to take it to the next level? No. Not in my opinion. Dr Disrespect mostly streams PUBG, H1Z1 and Fortnite. He has also streamed Black Ops 4 / Blackout as well as the most recently released Tom Clancy's The Division 2. Tyler "Ninja" Blevins also did not show much enthusiasm for Apex Legends Battle Pass either. While many have been waiting for it to release, Ninja has mentioned on a recent stream that he won't be focusing too much on Apex Legends. In Ninja's case, it wasn't so much boredom as it was focusing on the Fortnite World Cup. The prize for the tournament held in New York will be $30 million and it is between July 26 to 28. Ninja is hoping to break through the qualifiers which are starting from April 13.